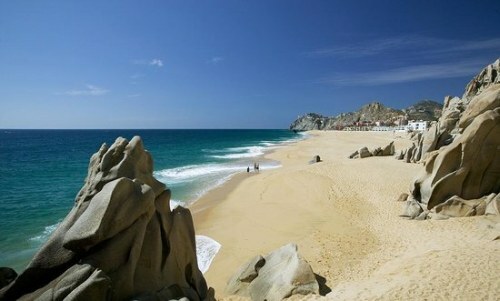 WestJet is showing flights from Edmonton to San Jose del Cabo, Mexico in April for $300 CAD roundtrip including taxes. There are some dates with non-stop flights on the way down, and 1 stop on the way home. 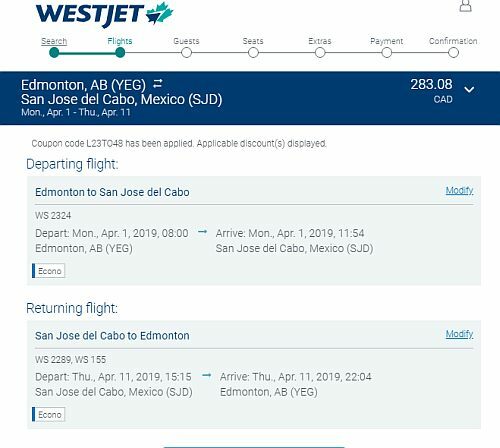 Update 1/22 - WestJet currently has a '15% off' promo code out that can bring these flights down to $283 CAD roundtrip. Try the same dates as listed below.